Hello from the RHDJapan team! With the NISMO Festival this weekend and only a month left in the year RHDJapan is in a festive mood for some extra nice prices to close out the year. Remember to check out the Holiday Schedule for urgent orders. We will not be having the select manufacturers this weekend as we will be extending a coupon code applicable to the whole RHDJapan catalog at even a higher discount than standard Weekend Specials! 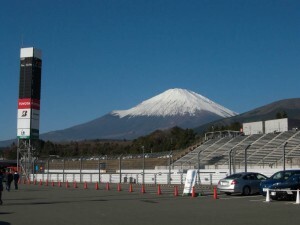 Always take some time to enjoy the view of Fuji-san while at NISMO Festival! In celebration of the long-awaited merge and release of our RHDJapan and BIDJDM websites we are offering a 7% discount on any purchase from either site or when items are checked out together.